Enjoy this completely personalized private tour of Málaga’s museums and enjoy their most important monuments and sights. Take this opportunity to get to know Málaga in this experience with your own private official tour guide and private vehicle with chauffeur. Get to personalize your own experience. You can choose to visit both museums or just one. Enjoy this private tour with your official your guide and get to know Málaga most emblematic museums and the Gibralfaro. Your private official tour guide and your private luxury vehicle with chauffeur are at your disposition during the whole tour to enjoy both monuments and the Gibralfaro to the fullest and to get to know the most out of your experience in Málaga. 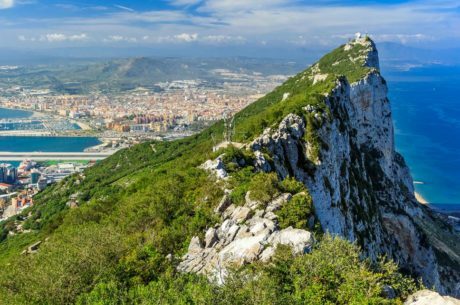 You will first visit the Gibralfaro, a hill located next to the city, from where you will enjoy a stunning panoramic view of the city. You will enter a muslim fort from the XIV Century (entrance included in the tour price) which was used to host troops and take care of the city. Inside the fort you will enjoy amazing views of whole Malaga. After Gibralfaro, you private tour guide and private driver will take you back to the city center to enjoy guided visits to Picasso and Thyssen Museums (you can choose between visiting one or the two museums). If you wish, you can also enjoy this tour without a private vehicle and just with your official tour guide (without going to Gibralfaro). Just let us know and we will amend the price for you.